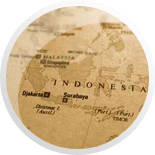 To enter to the territory of the Republic of Indonesia, foreigners need to have a valid visa issued by the Embassies, Consulate Generals, or Consulates of the Republic of Indonesia. 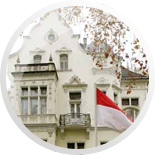 The Embassy of the Republic of Indonesia in Budapest provides visa services to nationals of Hungary and to nationals of other foreign countries who have Hungarian Resident Card. A visa issued by the Competent Authorities of the Republic of Indonesia must be used within a period of 90 days from the date of issuance. Any foreign national who fails to use a visa within the designated period of time must submit a re-application for a new visa. The Immigration Attaché at an Embassy or Consular Office of the Republic of Indonesia or other designated official (hereafter, Visa Officer) is authorized to issue or reject Diplomatic or Service Visa applications in accordance with the decision of the Minister of Foreign Affairs. The Visa Officer is authorized to issue or refuse requests for Transit Visa, Visit Visa, and Limited Stay Visa in accordance with the decision of the Director General of Immigration on behalf of the Minister of Justice. The Director General of Immigration may fully authorize the Visa Officer to issue or reject applications for Transit Visas or Visit Visas. The Visa Officer shall have the full authority to grant a visa to a foreign national who is in possession of a national passport or other valid travel document. The Visa Officer, upon the approval of the Director General of Immigration, shall grant a visa to an individual not in possession of a national passport or other travel document (a stateless person). 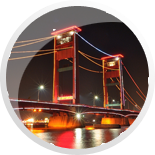 Admission to Indonesia remains under the authority of the Immigration Officer at the port of entry. 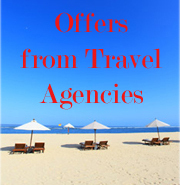 For urgent cases, a Transit Visa or a Visit Visa may be issued at an Immigration Check Point. Applicant who wishes to apply for visa should fill the application form online available here. Applicant should also fulfill the documents required for the specific type of visa he/she wishes to apply. Information regarding the requirements of visa application could be found here. To avoid any inconvenience, it is better for the applicant to submit the visa application within a reasonable time prior to the date of departure (no less than 7 days before departure date). Submit the application form enclosing with the complete documents based on the requirement to the Consular Section from Monday to Friday on 09:00 – 12:00 CET. Except on public holiday, the Embassy of the Republic of Indonesia will be closed. The process to issue visa at the Embassy of the Republic of Indonesia in Budapest takes approximately 5 (five) working days, provided that all requirements are met. No exception is to be made to any applicant. Please be advised that all Indonesian Representative (Embassy or Consulate Generals) hold the right to deny any applicant that deemed ineligible without disclosing the reason. Indonesian Competent Authorities are authorized to issue or to refuse the visa application without providing any reasons to the applicant. To avoid any inconvenience, it is better for the applicant to submit the visa application within a reasonable time prior to the date of departure (no less than 7 days) before departure date. 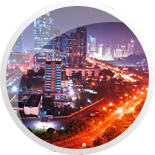 The visit visa processing may take a longer time for the applicant who wishes to enter restricted regions in Indonesia, because it should be approved by the competent authority in Indonesia. For citizen of other countries except Hungary must submit a copy of their Hungary stay permit. Other nationals without residence permit in Hungary must apply for a Visa at Indonesian Embassies or Consulates in their home country. 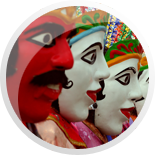 In every case, the Indonesian Embassy reserve the right to ask for additional documentation or to conduct a personal interview with the applicant.